Those bulky men's gloves of yours have as much traction as a wet fish covered in olive oil. So why even put them on if they disable your control? Gear up with a powerful grip in Black Stallion Men's 98 F Black Tool Handz Framerz Gloves. Featuring sure-grip rein ... (see full details) (see specifications) #REV98F. Those bulky men's gloves of yours have as much traction as a wet fish covered in olive oil. So why even put them on if they disable your control? Gear up with a powerful grip in Black Stallion Men's 98 F Black Tool Handz Framerz Gloves. Featuring sure-grip reinforcements, these Black Stallion work gloves deliver traction in all the right spots. The exposed thumbs, index fingers, and middle fingers give you better handling power. To maximize your comfort, these Tool Handz gloves offer padded palms and a snug fit. They're also designed for flexibility thanks to the streamlined neoprene and spandex material. The streamlined spandex and neoprene design is combined with TitanX synthetic leather for added durability. These grey and black Stallions are also easy maintenance thanks to the machine-washable design. Simply wash them in cold water separately, then hang them up to dry. Don't lose your edge with the awkward fit of bulky work accessories when doing work that requires more dexterity. Gear up with the handling power of Black Stallion Men's 98 F Framerz Black Gloves and get a comfortable grip on your day. 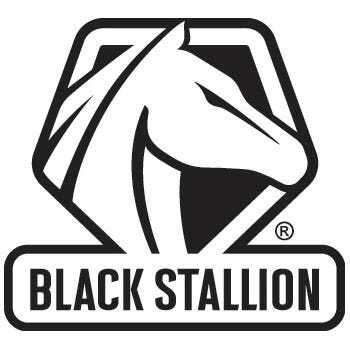 The Black Stallion has always been a good brand to me, and the framers 98 are no exception. In cold weather they are not the warmest, but they don't say they are. But with the fingers and thumb free, it makes finger work a breeze. They also make it easier to stay on with the adjustable wrist band. We work in an industry where its very important to have access to your finger tips, but also important to protect your hands. Those gloves offer great protection and versatility. Highly recommend them. We determined that the best way and best price was to buy them in bulk. Once we work through our stock, we will be definitely ordering more! I really like these Black Stallion gloves, but what I always have to do because I am a lefty is get the gloves and modify them by cutting off the fingers. I think the gloves are great and I would highly recommend them to everyone that needs a solid pair of framer gloves. Great quality at a great price from a great company. Black Stallion Gloves: Men's 98 F Black Tool Handz Framerz Work Gloves is being added to your cart.